The truth is, a large number of today’s population is B12 deficient. This is significant because B12 is really more than just advantageous to weight loss. While that seems to be the focus of those trying to get you to buy B12 shots, the bigger picture should be revealed. Vitamin B12 has a number of important functions. Specifically those attached to the brain–the control hub of your entire body. When your B12 levels are off kilter, there are some very detrimental side effects. Unfortunately, you might not realize the things you are experiencing are related to your lowered B12 levels. B12 is crucial to memory, DNA synthesis and energy production. It also helps your body absorb additional nutrients necessary for your well-being. So, if you’re feeling forgetful, fatigued and having trouble sleeping, you might want to get a blood test to evaluate your B12 levels. There are certain dietary issues that can increase your B12 deficiency. Since B12 comes from animal products, it’s a given that vegetarians, vegans and vitamin b12 aren’t typically friends. Vegans are specifically at a disadvantage since they eliminate all animal products from their diets. 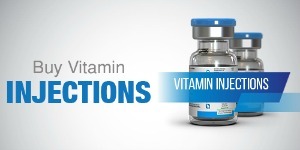 That’s why it’s essential that they use vitamin B12 injections to maintain balanced health. Diets high in seafood and meat are beneficial to regulating your B12 intake. So, when you consider countries that are largely vegetarian, it’s no wonder that 80% of their populations are vitamin B12 deficient. Perhaps that doesn’t mean much to you, but it’s a leading contributor to blindness and brain abnormalities. Generally, when we suspect we are missing vitamins, we head to the drugstore and purchase a bottle of whatever it is we think we’re lacking. Unfortunately, the substances utilized in those pill forms, for the purpose of making it through the digestive tract, are often harmful. More notable though is the fact that the level of vitamin still hanging around to be absorbed after it goes through your stomach acid, is minute and mostly valueless. This is why you should use vitamin B12 injections. The injections enable the entire dosage to enter directly into your muscles where it will be most readily accessible and more easily absorbed. Don’t wait until a vitamin B12 deficiency strikes. Start boosting your levels—and reaping the rewards—now. We have lots of vitamin B12 products available. Check out our selection and start improving your health today!